Market leading next-gen learning solutions provider, Fuse Universal (Fuse), to showcase their partnership with award-winning content curation tool, Anders Pink, at Learning Technologies 2019. CEO and Founder of Fuse Universal, Steve Dineen, stated, “Next Generation learners do not want to stand still. They need to stay up to speed on what’s trending in the topics that matter to them. Browsing the web and checking social feeds has its merits - but that takes time and effort, and there’s a lot of noise out there. Learners tell us that timely and relevant content from the web is vital for them, but with over 3 million blog posts published every day, there is simply not enough time to stay on top of it all, until now." Fuse has partnered with Anders Pink, to answer this challenge and make continuous learning from curated web content powerful and simple in Fuse with the "From the Web" feature. CEO and Co-Founder of Anders Pink, Stephen Walsh adds, “Today’s learners need more than static courses and resources. They need the most recent and relevant content at the point of need in the workflow. But they don't have time to search the web and social networks for new content every day. And now they don’t have to. With the "From The Web" widget in Fuse, powered by Anders Pink, curating the best of the web is easy. You define the topics and the sites and sources you want to get content from, publish a feed and keep your learners up to speed with fresh, updated content every day." Anders Pink aggregates content from the web from any topics and sources to curate a personalised feed for the learner. This degree of customisation puts the learner at the heart of their curation needs with new content automatically adding to their feed every day. Their partnership with Fuse allows this content to be surfaced at an individual, community or global level. Learning leaders looking to power up their curation tools and drive continuous learning in their organisation are advised to visit Stand E30 where mini-sessions on Anders Pink will be showcased throughout the Learning Technologies event. Along with showcasing the latest innovations in L&D, Fuse will also host a lounge area where delegates can recharge and relax with a massage and grab a complimentary barista coffee. Visitors can register interest in advance. Anders Pink is an award-winning content curation tool that saves time and brings continuous learning into your tools and platforms. Users define exactly what topics and sources to track from around the web. Algorithms scan millions of content items based on your preferences, and deliver a regularly updated feed of the most recent and relevant content. Our AI learns from your preferences so your content gets more relevant over time. Save time searching, get fresh content into your apps and platforms seamlessly every day. 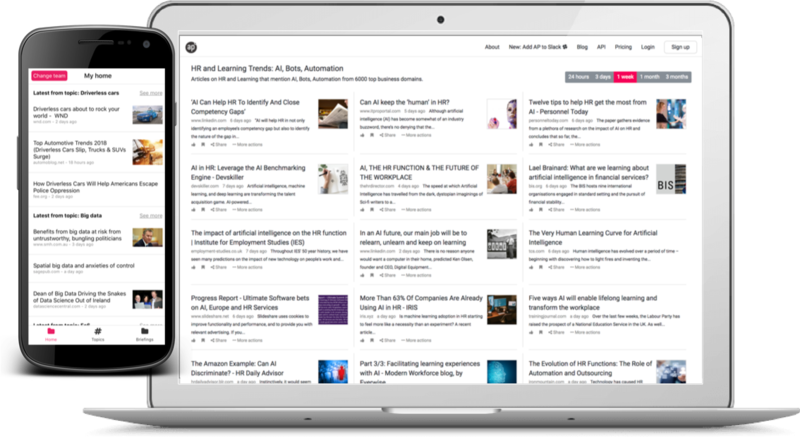 With integrations into over 30 leading learning platforms including Fuse, and over 1 million supported users, we’re making content curation easier for the world’s learning organisations.